Want to tell the time AND save sloths? Then this is the perfect watch for you! This hand painted design is named “Leisurely Life” after our little lazy animals and their relaxed lifestyles. Each watch comes with a little hang-tag which tells the design story. A portion of all proceeds are donated to wildlife conservation projects supported by Loggerhead Marine life Center, Turpentine Creek Wildlife Refuge, White Oak Conservation Center, and Zoo Atlanta. Not only would you be adding a stylish accessory to your collection but you would also be helping loads of cute critters as well! Maybe you’re looking for something a little more “hipster”? 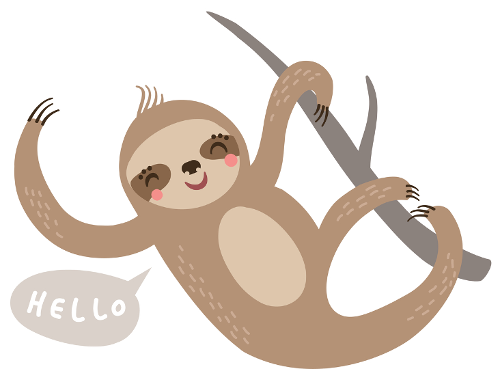 Then this cool sloth would be perfect for you! Who doesn’t love seeing a sloth in sunglasses? Unfortunately this one is more tailored towards the lads (sorry ladies). Isn’t everyone’s happy place in space with a sloth? … possibly not! 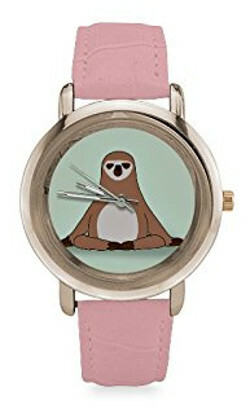 This super cool, retro sloth watch not only keeps track of time, but also the date too! That way you won’t miss any important meetings you might have (or not) with the friends you have (or not). This sloth watch is for men and it’s made of stainless steel all the way round. 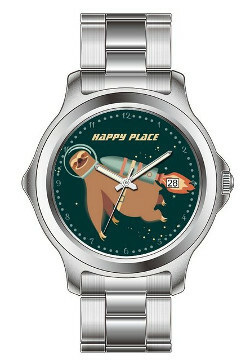 Here is yet another sloth space themed watch! Obviously they’re very popular! 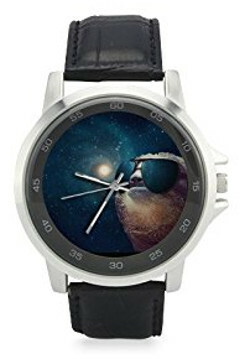 This is the perfect mix of a cool sloth in shades with the artsy background of space. This sloth watch comes with a well made leather strap if that’s more your style. That just about brings our watch article to an end. 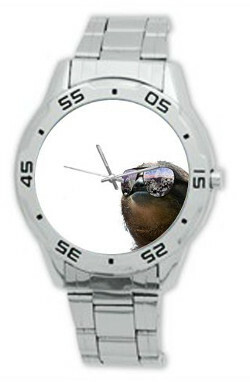 There are plenty more sloth watches out there for you to discover, so don’t give up hope if you didn’t find the one you are looking for. These were just our favourites! 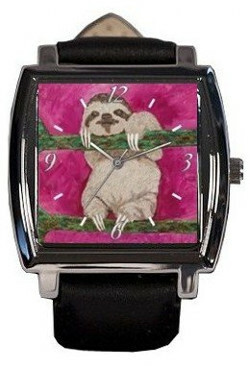 Which sloth watch do you think will fit on a sloth the easiest? We’re going with number 4!